It's National Hot Dog Day and there's no better way to celebrate than to, well, eat a hot dog! I love hot dogs for their ease of preparation and their versatility. A hot dog is a blank canvas, ready to be painted! Today, the hot dog is being painted with flavors from the south! 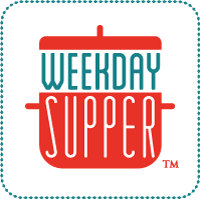 This week at #WeekdaySupper you can find all of the following meals, just waiting for you! 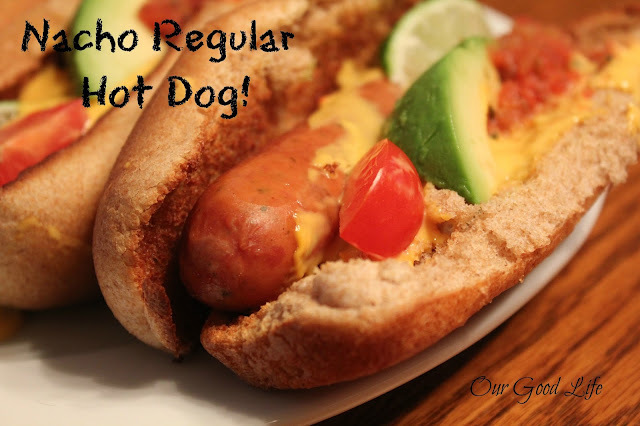 The inspiration for this hot dog comes from my love of all Mexican foods. I love guacamole, salsa, tortillas, black beans, yum. The flavors that you can combine to make a hot dog that packs some serious punch are only a grocery store away. For this hot dog, which features the nacho cheese dip from the chip aisle, the flavors are limited to the basics so that those flavors really shine on this hot dog. 4 hot dogs, all beef or get great turkey and jalapeno dogs from your favorite butcher to amp up the flavors! For this dish, I like to steam fry my dogs by placing them in a skillet with 1/2 c water. Place hot dogs in the water, turn to high, and let them cook while the water evaporates, then let them brown in the skillet. When golden brown, remove from heat. Split buns, butter, and toast under the broiler until toasted. About 3-5 minutes in a hot oven, longer if the oven isn't preheated. Place a hot dog into each bun. Spoon 1/4 c cheese onto each hot dog. Lay a slice of avocado on each dog, along with a 1/4 c salsa. Add lime and tomato as garnish. Before eating, squirt the lime over the avocado. There are many variations, like adding cilantro, jalapenos, sour cream and even crushed nacho chips. This variation allows the simple flavors of the cheese, avocado and salsa really shine through! Serve with beans and rice on the side, with lime sherbet for dessert! Enjoy National Hot Dog Day with Nacho Your Regular Hot Dog!